is now available on Amazon on Kindle! 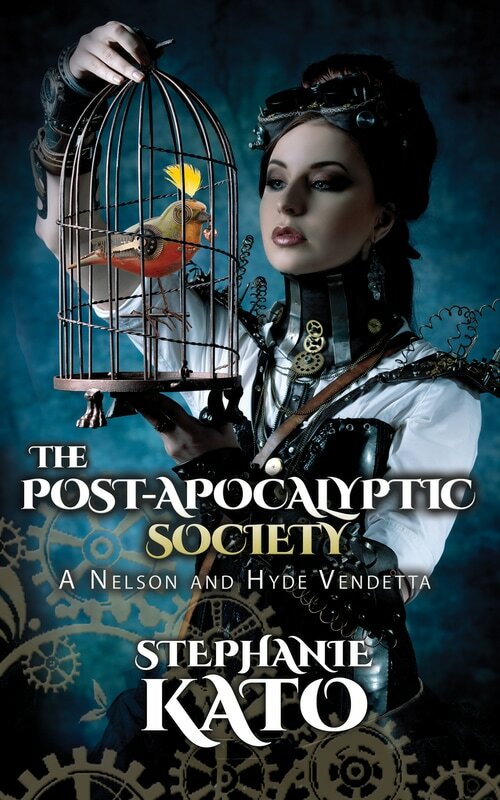 We last saw the Nelson family in a dystopian civilization with Steampunk technology and upheavals from their enemies. In this tale, the Nelsons become stranded in a radioactive wasteland. If that doesn't sound bad enough, a brand new enemy is stalking them in the treacherous environment. Who are these mysterious hunters? The Nelsons are going to find answers one way or another. Let's take a cross country trip in a giant Steampunk zeppelin! That might sound like fun, but terrorism always has to ruin a vacation for the Nelsons and their companions. It's a wild adventure with sky pirates, biplane dogfights, and other dizzying feats. Try not to get motion sickness with this clash in the sky. Las Vegas is still one of America's entertainment capitals. That means the business competition is fierce. Retro futuristic mobsters want to seize control of the casino industry. The Nelsons have to maintain control of their companies and defeat the Dieselpunk mafia. Unfortunately, the task will be very difficult and dangerous. It's just another day in a post-apocalyptic society, right? Available internationally through Amazon in Spring 2017!